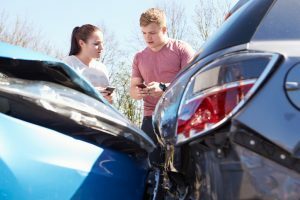 One of the most important steps you can take if you suffered injuries in a crash that was caused by another driver’s negligence—or in which multiple drivers may be at fault—is to contact an experienced personal injury lawyer. Led by former insurance adjuster Justin Minton, the Little Rock attorneys at the Minton Law Firm have extensive experience helping injury victims recover the financial security they need to cope with medical expenses and other damages. Please call us today at 501-404-5433 to schedule your free consultation or contact us online to tell us your story now. Modified comparative fault comes into play when multiple drivers share fault for a crash. 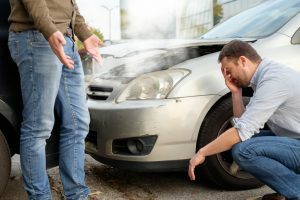 Modified comparative fault, which is also known as modified comparative negligence, is a rule that comes into play when more than one driver share liability for a traffic accident. Under comparative fault, percentages of liability are assigned to drivers who contribute to a crash. Depending on their level of liability, each involved party could collect damages equal to the percentage of fault of the parties. For example, if Driver A runs a stop sign and hits Driver B, who suffers injuries but was found to be speeding, Driver A may be found to be 80 percent at fault and Driver B may be assessed 20 percent liability. If Driver B suffered $100,000 in damages, he or she could be awarded $80,000 from Driver A. In Arkansas, the modified comparative fault rule applies when an accident victim is found to be 49 percent or less at fault for the crash. If the accident victim is at least 50 percent liable for the collision, he or she cannot pursue damages from other involved parties. This is referred to as the “50-percent bar rule.” If Driver A from the previous example also sustained injuries in the crash, he or she would not be eligible to seek damages from Driver B. Not all states follow the modified comparative fault rule, and even some states that do employ a 51-percent bar rule instead of 50. Other states adhere to a contributory negligence principle. Under contributory negligence rules, a person who is assessed any level of negligence is not entitled to pursue damages from others involved. Establishing negligence is key in awarding damages after a motor vehicle accident, but what exactly constitutes negligence? In Arkansas, modified comparative fault applies when an accident victim is 49 percent or less at fault for the collision. In broad terms, negligence is the failure to act with the level of care that a reasonable person would exercise under the same circumstances. Factors considered in assessing negligence include whether a person’s conduct created an unreasonable risk of harm to others and whether he or she attempted to eliminate or reduce the risk for harm. In the example above, Driver A owed a legal duty to Driver B (and other motorists) to stop at a marked intersection. Driver A breached that duty by ignoring the stop sign and proceeding into traffic. Driver B suffered an injury, and that injury was the result of Driver A’s negligence. If you were hurt or a loved one was killed in a motor vehicle accident caused by a careless driver, you’re probably more concerned about getting the compensation you need to deal with medical expenses and move forward with your life than you are about terms like contributory negligence. That’s why the personal injury attorneys at the Minton Law Firm are here. Our lawyers are dedicated to helping injury victims from the greater Benton and Little Rock areas. We offer free, no-obligation consultations to help you understand your options, and we don’t charge for our services unless we recover compensation on your behalf. Please call us today at 501-404-5433 to arrange your consultation or contact us online to get started now.